As weekends go this one just past was pretty busy and that's saying something coming from me. I was all over town with Lily checking out various exhibitions, eating delicious food and browsing many a gift shop. On Friday evening we checked out the new Ballgowns exhibition at the V&A before having a delicious dinner at Comptoir Libanais. 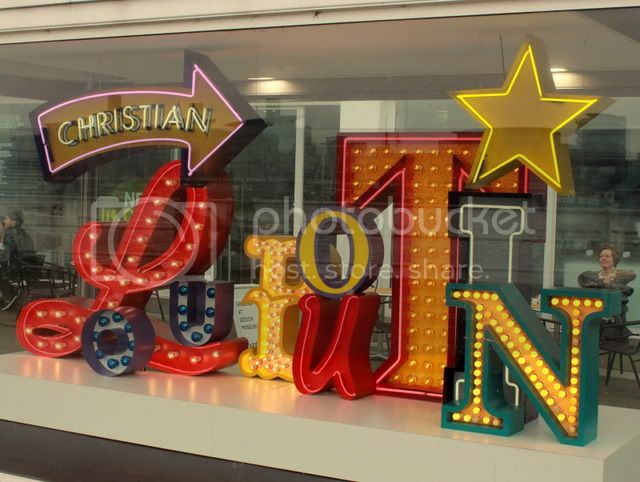 On Saturday we met at the Design Museum to see the Christain Louboutin exhibition which was fantastic. The space is inspired by French cabaret and had a very Moulin Rouge feel to it. The fetish section was extremely interesting as the shoes were designed not to be walked in but rather just seen as a fetish accessory, because of this the designs were insane! After scrumptious brunch at Village East we headed over to the Royal Academy for the Hermes leather forever exhibition. This was a lot bigger than I expected and I really enjoyed seeing a Kelly bag being made. There were lots of beautiful bags to see (but not touch) and despite the strong smell of leather that made me feel a bit queasy at times I thoroughly enjoyed it. After a ride on a route master bus (tourist much?) we wandered around the city a little and caught the Bauhaus exhibition at the Barbican. By this stage I was pretty exhausted so probably didn’t enjoy it as much as I could have but it was full of Kandinsky who is one of my favourite artist so I was happy. Anyway, the main point of this post was to show you what I bought from the V&A gift shop after the Ballgowns exhibition. 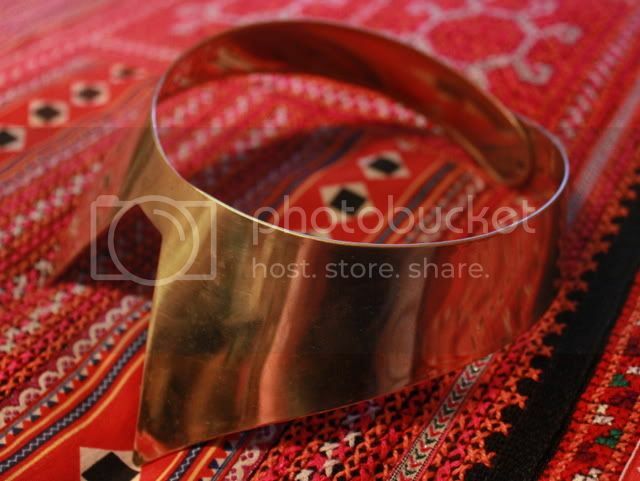 Both Lily and I bought these fabulous gold collars. They’re a little pricey at £20 but I think they are completely worth it. They’re an amazing statement piece of jewellery plus I imagine they’d cost even more if they were sold in Topshop. In all honesty they aren’t the most comfortable things in the world but I wore mine all day on Saturday without too much problem. We got asked loads about them from strangers too as we were both wearing them at the same time so that’s definitely testament that they’re a stand out item! I saw this on Saturday and really regret not buying it! 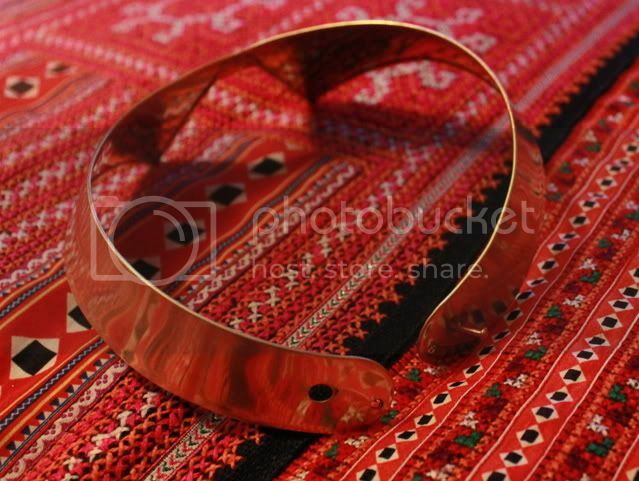 I LOVE those collars, they look AMAZING! It sounds like you had a lot of fun despite being so busy! 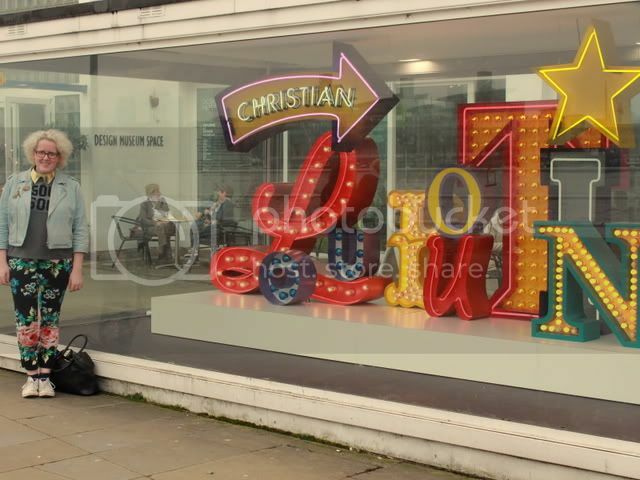 OMG I can't believe you were at the design museum Saturday, that's near where I live! Crazy, I didn't know it was there as I really wanted to see it. That collar is so amazing and such a great find, I love your style kitten. Your botch is too cute! I love the Barbican; it's a lovely space. I saw their brand manager speak at a conference a few months ago, and he was so interesting about how they define 'Brand Barbican'. That collar is so good! 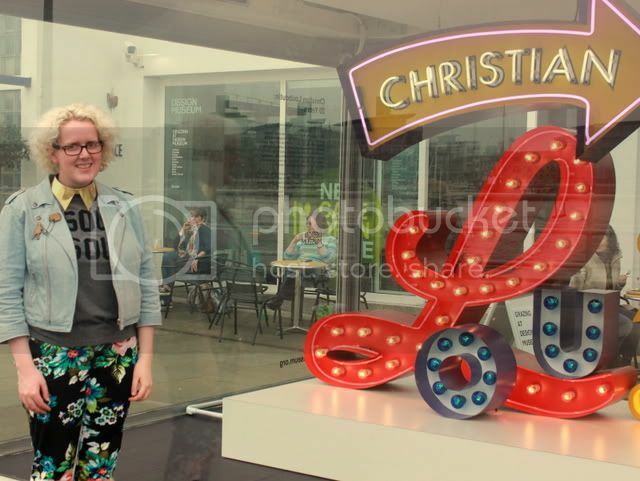 The V&A giftshop is just the most wonderful shop ever! What a busy weekend! 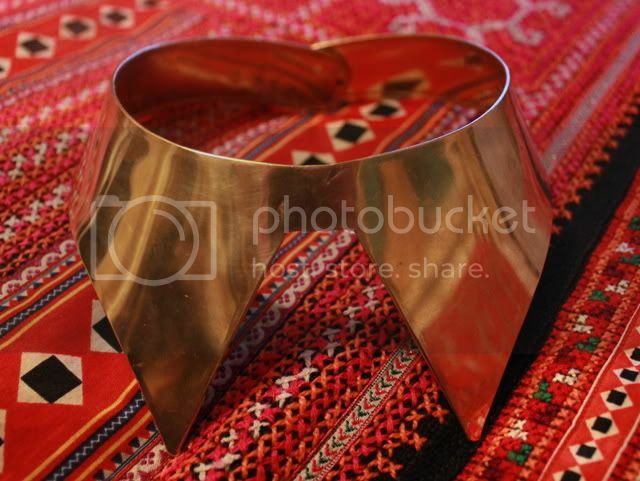 The collar is insane, I don't think I'd be brave enough to wear it but it's definitely a great buy at that price! Your trousers are so cool. I don't think I've ever really considered buying one - I'm not much of a necklace kind of girl as they just tend to annoy me after a while. It looks fab on you though! Sounds like a great weekend. 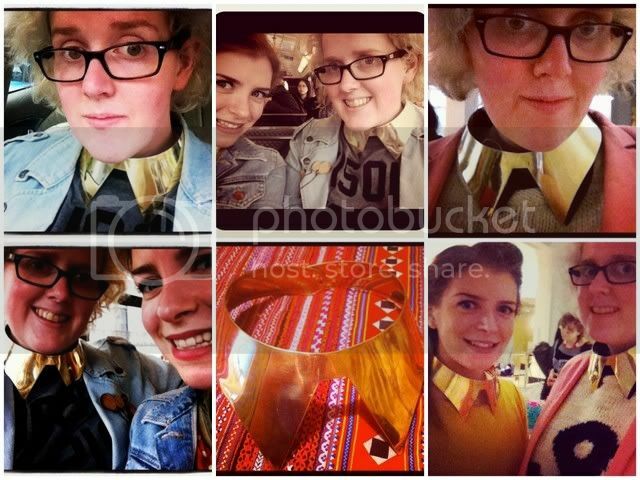 Amazing collars! I do love collars but I'm not sure if I could pull it off. I guess there's only one way to find out!